The Cisco new ASR 5500 is a high-performance box “for the next decade” that will support large volumes of mobile and M2M traffic. Cisco Systems wants to make it easier for mobile operators to scale up the wired networks that their wireless systems feed into, so it is introducing a mobile aggregation switch with 10 times the capacity of its current product. Less than a week after releasing its latest study on global IP (Internet Protocol) traffic, which forecast an 18x increase in mobile data traffic between 2011 and 2016, Cisco is rolling out a more high-powered switch, the ASR 5500, to transport and process that data. It follows the ASR 5000, which was introduced in 2010 and is based on an earlier product from Starent, which Cisco acquired in October 2009. Cisco calls the new switch a terabit-speed platform and the ASR 5000 a gigabit-scale system, referring to their total system throughput. –Dramatic growth of mobile lifestyle devices – consumers are buying sophisticated and powerful Internet-enabled devices for use at home, on the road, and at work given the bring-your-own-device or BYOD movement. –Increased usage of next-generation applications – explosive growth in applications by users, always-on applications and those that continually interact with the network. –Rise of the “Internet of things” – also known as machine-to-machine or M2M, whereby machines like smart meters and sensors use the mobile network. The industry’s only elastic packet core solution capable of integrating signaling, data, in-line services, and policy and charging control within a single platform. A 10-times performance improvement in throughput, capable of scaling from hundreds of gigabits to a terabit platform. o User sessions, transactions, signaling, and data throughput. Cisco’s elastic mobile architecture allows applications to intelligently and elastically scale up or down to meet processing requirements. This gives service providers the unique ability to adjust resources and adapt to multiple conditions and network usage patterns, resulting in improved network economics, saving customers up to 47 percent of the total cost of ownership, according to a study issued by ACG Research. Proven software platform shared across the Cisco ASR 5000 Series, minimizing operational complexities and accelerating time-to-market. 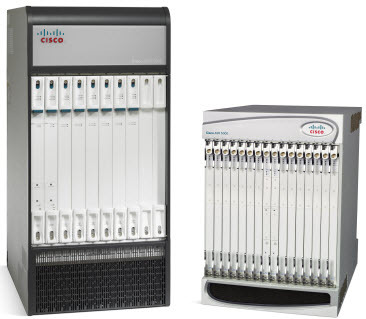 The new Cisco ASR 5500 is available now. To power next-generation 3G, 4G, 4G long-term evolution (LTE) and Wi-Fi mobile services, Cisco has deployed the Cisco ASR 5000 series with several leading global service providers including Bharti Airtel, Telekom Austria Group and Verizon Wireless. The new Cisco ASR 5500 expands on the industry-leading ASR 5000 Series, giving operators new ways to grow revenue and reduce network costs. Its flexibility helps operators to build their networks with one product family, no matter what the requirements may be. And scale helps ensure that the ASR 5500 will continue to meet stringent demands for the long term and keep subscribers happy. Cisco: What Mobile Internet Traffic Will Look Like by 2016?